AMSOIL Synthetics dealer of Houston, TX. If you plan to use AMSOIL often or use it exclusively you are better off joining as a Preferred Customer. Please mail or fax in this form with the Preferred customer portion filled out. 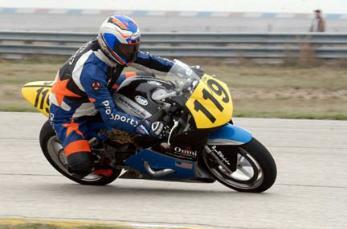 We have long term experience with AMSOIL in all of our vehicles including our race bike. The AMSOIL Diesel line is among our best selling. Please contact me about what we have for your equipment. Take my word, AMSOIL offers performance benefits not found using even higher priced synthetics. AMSOIL is the original product and is the only one guaranteed to protect for the longest interval. SEE New Dealer Info at Bottom of page! Serving Houston and the state of Texas, we are the most resourceful AMSOIL Dealer in this part of the country not to mention part of the fastest growing AMSOIL dealer group in the USA. Look through the main site and request your catalog or just email me for your order. Being there are few AMSOIL dealers in the area, save our number as you can depend on us. We should have what you need in stock but if not our warehouse in Dallas will have it drop-shipped right to your door in about 24 hours.. It's always best to sign-up as a preferred customer if you own several vehicles or want the best deal all the time. We will soon post any shops where you can buy AMSOIL from but for now I can ship anything to you from our distribution center or you may pick up here. Lately, most people are joining as a Preferred Customer. Just print out the P.C. Form and fill out the information in the Preferred Customer section. AMSOIL Houston - Katy, TX Area, based in Sugar Land and the Galleria area; and proudly serving the USA! Synthetic-oil-sales of Texas is a nationwide AMSOIL Synthetic Lubricants dealer. Jonathan Copeland , a Certified AMSOIL Dealer, is committed to providing first-time and long-standing customers with the finest AMSOIL Synthetic Motor Oils. We are signing up Preferred Customers all the time, and are enthusiastic about showing new customers the time and money-saving advantages of our products. Most importantly, due to the legendary extended service intervals of AMSOIL Synthetic Motor Oils, AMSOIL is environmentally friendly and saves wear on precious engine parts. There is a high demand for all of our synthetic lubricants in this area but especially the Motorcycle, Diesel and two cycle products. We usually have what you need in stock but generally we ship from our distribution center. For your gasoline vehicle try our 100% full PAO Synthetics with our 12,500 mile filters. You save gas and stop wasting money at other quick lube centers. As you look through the site please ask for your free AMSOIL catalog before leaving. With AMSOIL in gasoline engines you simply reach 25,000 miles or one year before draining your oil. All products are produced in the USA. Our filters are guaranteed in gasoline engine applications for 12,500 or 6-months and the Donaldson Endurance are slated for even longer. In October all our AMSOIL oil and air filters will be upgraded to the superior Donaldson Nanotechnology type. These filters will last twice as long as our current ones. We will have them in stock all across Houston. See our products area for information on the Diesel Oils or applications. So all you need is a case of oil and two to four filters to cover most vehicles for the two years. "It's hot in Texas, you knew that - but our customers who use AMSOIL in their bikes all say the same thing. Surprisingly lower temperatures in both air and water cooled engines. Even more we hear comments on shifting and gear mesh improvements. AMSOIL's new Motorcycle oils last three times longer or up to one year now thanks to added rust protection. No other product can offer this!" In this issue of Action News, we announce a new motor oil and a reformulated and improved gasoline additive. Our new motor oil is a 100% synthetic lubricant formulated for modern vehicles requiring an energy-saving, fuel-efficient 0W-20 viscosity. It is an superior motor oil formulated to deliver outstanding performance for 25,000 miles or one year service life. Don’t let the lighter viscosity of this new oil fool you. We drew upon our vast experience in formulating synthetic lubricants to match the highest quality base stocks with the industry’s best additive technology to produce a very tough, very capable motor oil. It provides exceptional wear protection, outstanding extreme temperature protection and performance, and long service life. Our new 0W-20 Motor Oil in the crankcase of a modern vehicle guarantees it will deliver the best fuel economy it is capable of. With a very low volatility rate, oil consumption and emissions are greatly reduced. This is the ‘oil of the future’ here today thanks to AMSOIL. But it won’t be the last new oil we make. Stay tuned! Also introduced in this issue is our newly reformulated PI Performance Improver Gasoline Additive. It is the most effective gasoline additive available today and makes gasoline engines perform the way they were designed to. PI cleans and keeps clean fuel injectors, combustion chambers, valves, and pistons. Every vehicle tested using this new fuel additive experienced improved fuel economy (up to 5.7%). It also acts as an “emissions passer” and is ideal for use before emissions inspections. It’s also more convenient to use. Just add one bottle of the new PI to 20 gallons of gasoline every 4,000 miles or 100 hours . You can’t find a more effective or easier way to get the best performance from a vehicle! People who know me know I tell it like it is. Sometimes I may be a little too blunt, but you won’t misunderstand me. So when you’re the best, I think it’s OK to tell the world about it. AMSOIL products are the best, period, and you can quote me! We Need Dealers in Texas!! Our Houston dealer Larry Copeland offers the best support and success strategies in the US. Call now at 888-568-6495 for our robust and comprehensive AMSOIL Dealer info packet. Why should you join our group? We are part of one of the most successful marketing dealers who specializes in internet search engine trends. This alone is a full time job which has brought us some of the top and most frequent leads in the country. We do much of the work for you. Let us help you get on the web fast in your local area. We also re-distribute significant leads to our group. The dealers who are easy to locate are the ones who are experiencing double digit growth. You can say we have the smallest group with the most volume. We ranked 10th in personal sales for AMSOIL (April, 05) for the country. Texas demand for Amsoil has recently increased in the Houston area. There is a great need for AMSOIL dealers here and across the state, especially with ATVs, watercraft, motorcycles and diesel engine owners. We are getting the word out! There are not enough dealers here in town. Texas summers can be rough on cars and diesels but not with AMSOIL. For winter, mountain areas and cold season, be utterly amazed when you turn the key and your engine responds as if it has been running for 15 minutes. Join us as a dealer! You get excellent support from myself, our top ranking team in the whole AMSOIL organization and free leads from AMSOIL too. We share leads with you. Any dealers interested will have a better than average opportunity to pick up on strong leads and grow their businesses. Ask for a copy of the AMSOIL Magazine or the monthly dealer newsletter to see where we rank. Be sure to check out our Dealer page, but print out this dealer form to get started in our growing group!! Duramax filter. MANN is the world’s largest filter company and is a worldwide leader in auto, light truck, heavy duty, motorcycle, and off road products. 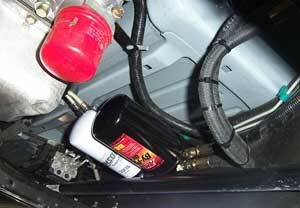 They are also OE of many types of under-hood components.